Nattokinase is an enzyme derived from `natto`, a traditional fermented soy food popular in Japan. During the natto production process B. subtilis natto, a friendly bacteria, ferments boiled soybeans, releasing nattokinase. Nattokinase contains pure nattokinase enzyme in a lactose base. Nattokinase may help to support and maintain the healthy function of the cardiovascular system and in particular support the healthy and normal dissipation of blood clots within the body. Nattokinase may also support and sustain normal and healthy blood pressure levels in humans. Nattokinase produces a prolonged action. Activity of Nattokinase has been determined to last from 8 to 12 hours. Nattokinase (fibrinolytic units) enzyme activity, modified cellulose (vegetarian capsule), maltodextrin, magnesium stearate (vegetable source). Take 1 capsule daily, between meals, or as recommended by a nutritionally-informed physician. Do not use this product if you are pregnant or nursing, are allergic to soy or lactose, or if you have a blood coagulation disorder. If you are taking an anticoagulant (blood-thinning medication) or vitamin K, consult a physician before taking this product. Below are reviews of Best Nattokinase - 90 x 100mg Vegicaps by bodykind customers. If you have tried this product we'd love to hear what you think so please leave a review. These are wonderful 'clot busters' (read Dr Sinatra's "Reverse Heart Disease Now"). My husband takes these regularly, and takes an extra one at the first sign of a TIA, which staves them off - effect is more or less instant. No side effects, unlike blood-thinning drugs. I wish more people knew about them. Sister recommended these for my very bad varicose veins which flared up very badly. Amazing the difference that these have made. My leg has gone down to be far better than it was before the flare up. Leg looks much better but more importantly they don't ache when on them too long. I will keep taking them (on empty stomach). At night usually. Waste of Money! Does not work at me at all! 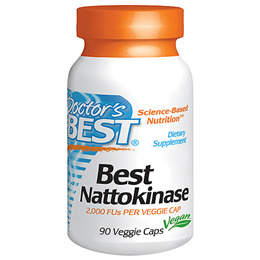 Question about Best Nattokinase - 90 x 100mg Vegicaps Is your Nattokinase product NSK-SD? I read that not all are the same, but NSK-SD is biochemically identical to the original. How many fibrin units per gram, please? NSK-SD is a successful marketing tool, but the identity and quality of the Doctor's Best Nattokinase is identical to that of NSK-SD. Customers who have switched from NSK-SD based products to the Doctor's Best product have found it to be just as effective. 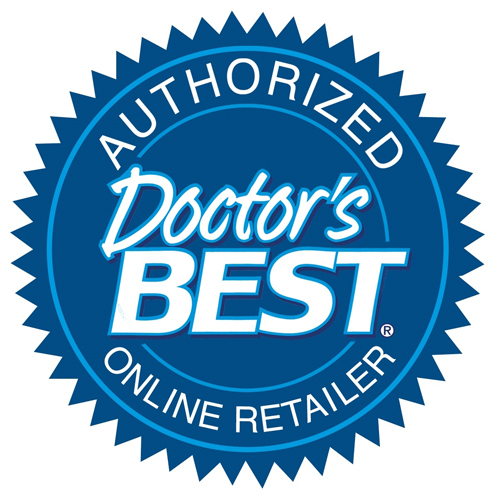 Nattokinase is the 3rd best selling product in the entire Doctor's Best range in the US which suggests customers are finding it to be superior to many other brands. There are Nattokinase 2,000FU (Fibrinolytic Units - enzyme activity) per 100mg capsule. Nattokinase is a potent fibrinolytic enzyme extract that has been used in Japan for over 1000 years and may help support and maintain the health of the heart and support normal blood pressure levels.